Supranational, in the context of pageantry can be best described as a world united in the name of beauty. Indeed in the world of full of conflicts, beauty pageants can bridge the gap brought about by politics, geography and other differences. 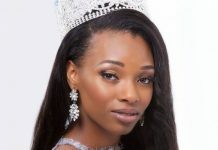 Jaleesa Pigot, Miss Supranational Suriname, is proud to represent a small South American country surrounded by bigger nations which are culturally and historically different. In order to survive, her native country and its citizens have this natural tendency to bridge differences. This is especially fitting for a small yet very diverse society such as Suriname. Jaleesa is armed with such mindset as she will compete for the Miss Supranational 2016 title in Poland later this year. She took some time off to talk with Missosology. Know more about her in this exclusive interview. My name is Jaleesa Pigot and 24 years of age. I am the youngest daughter of four. I did various modeling jobs in the Netherlands and Suriname. Recently, I started the #LoveYourselfMovement to inspire young women. I grew up in Paramaribo, the capital of Suriname. Paramaribo is one of the smallest districts of Suriname, but has the highest number of population. In this beautiful city you can find numbers of buildings belonging to the UNESCO World Heritage list. Suriname is a blessed country with a lot of different cultures, a tropical climate where more than 90% is covered with tropical rainforest and a pristine nature. One of the most popular reasons why Suriname is known is for its unforgettable Owru Yari (End of the year) celebration and delicious food. 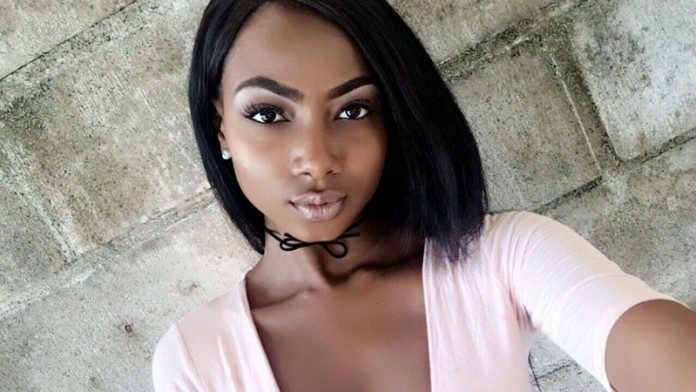 What will make me stand out during the competition is my uniqueness, my winning attitude and my drive to be the first colored Miss Supranational. Besides these points, I am focused and determined to represent my country with the best strengths and abilities that I have. Another thing that will also make me stand out is that I have the support of my country. I just can’t wait to represent Suriname! 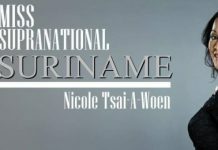 Since the national organization started to send their winners to Miss Supranational, this pageant has become famous too in Suriname. Suriname; the greenest country in the world where you can enjoy a multicultural population, the finest cuisine and relax in the sweet Amazon. A small country on the top of South America where we live in peace and harmony. My dream is to make a world trip. I would like to experience, enjoy and explore everything this “supra world” has to offer. Beauty pageants give young women – and men – a platform to voice their opinion on topics relevant in today’s society. The most important issue nowadays is self-acceptance. That’s why I started the “Love Yourself Movement”. Through this movement I motivate the youth of Suriname to accept themselves in the ability to achieve greatness. As I always say: ““Self-love is the key to success”! In the future I want to launch my #LoveYourselfMovement blog to keep inspiring young women. Besides that, I want to start a beauty school in Suriname, where modeling and beauty pageants will be the main subjects. 9.) And finally a message to all of your fans at Missosology. I want to thank you for reading my interview. Another thank you for all your support and love. Please keep loving each other and don’t forget to love yourself. Salamat, Missosology! Missosology wishes Jaleesa Pigot all the best of luck at Miss Supranational 2016 pageant. Special thanks to Chilton Sampono for facilitating the interview!